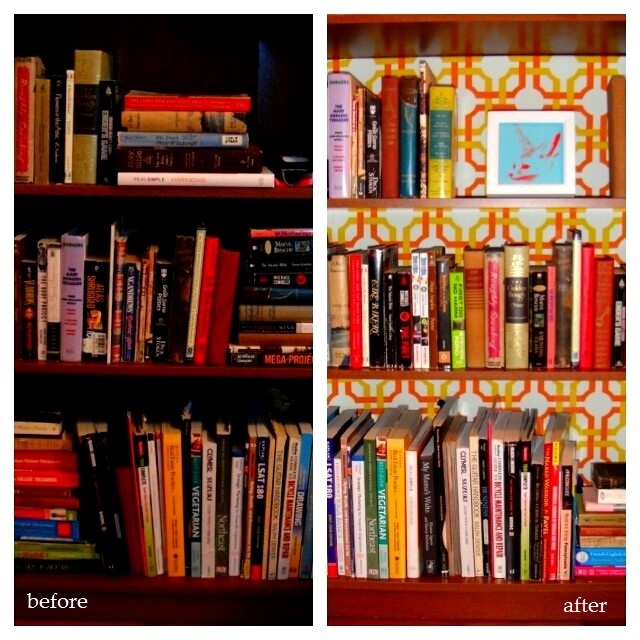 A brighter bookcase | So Pretty is as Pretty Does. 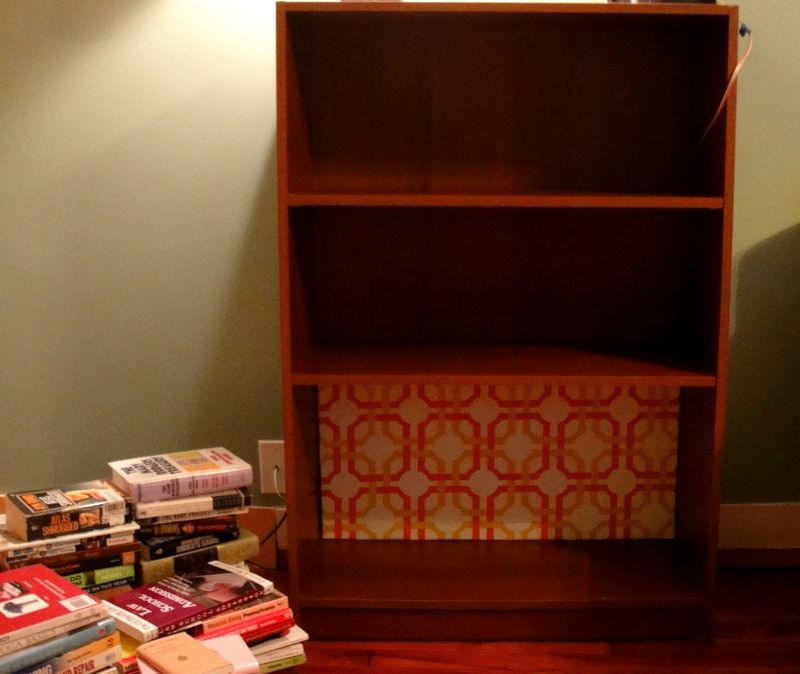 First, I got a rough measurement of the bookcase so I’d know how much fabric to buy. Then I went to Joann Fabric and found a fabric I liked that was on sale and at the end of its bolt (double discount). Then, I proceeded to collect the necessary supplies. 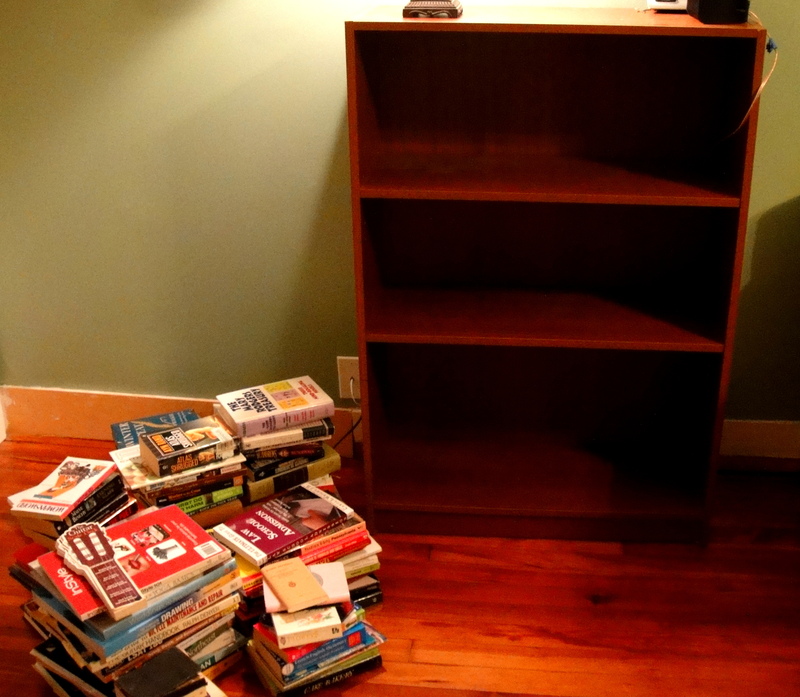 Then, I emptied the bookcase and took more precise measurements. 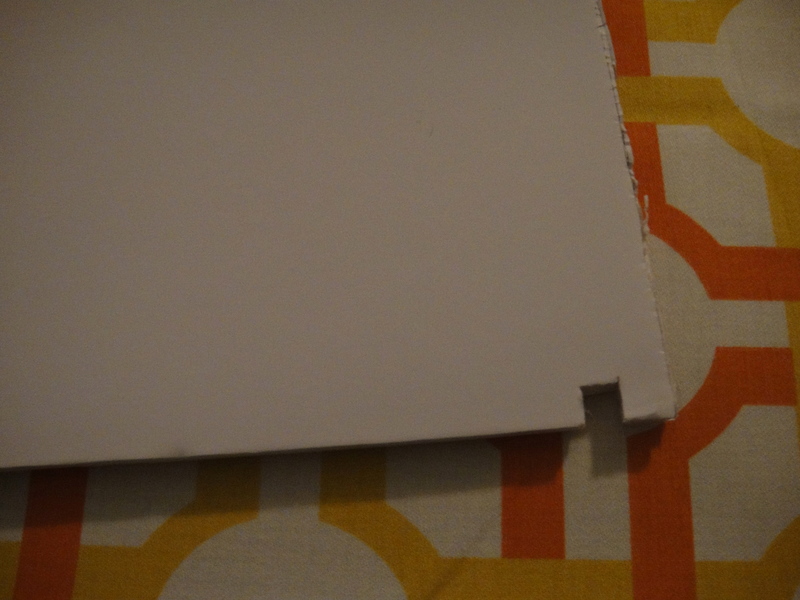 Next, I cut the foam core board and made sure the first piece fit. 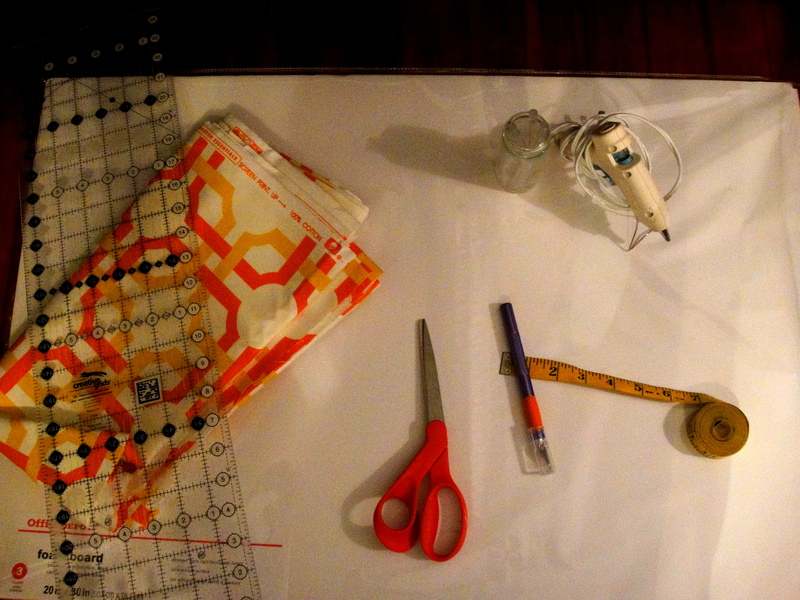 Then, I cut a piece of fabric a few inches larger than the board and ironed it before hot gluing it on. 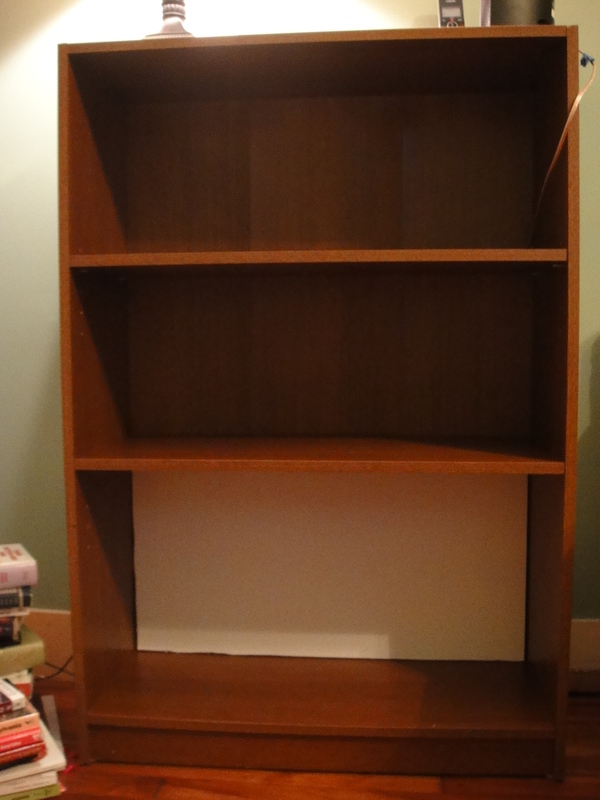 Then, I put the board back in the bookcase to make sure it still fit. 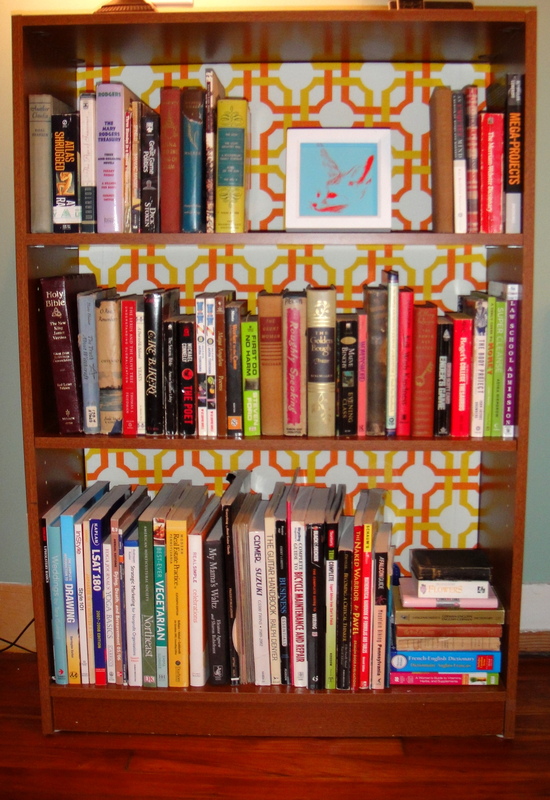 I repeated the process two more times for the middle and upper shelf. The only difference on the upper shelf is that I cut a small hole in the corner of the board so the cord for the speaker would still fit through the bookshelf backing. All three bright backers are in place. 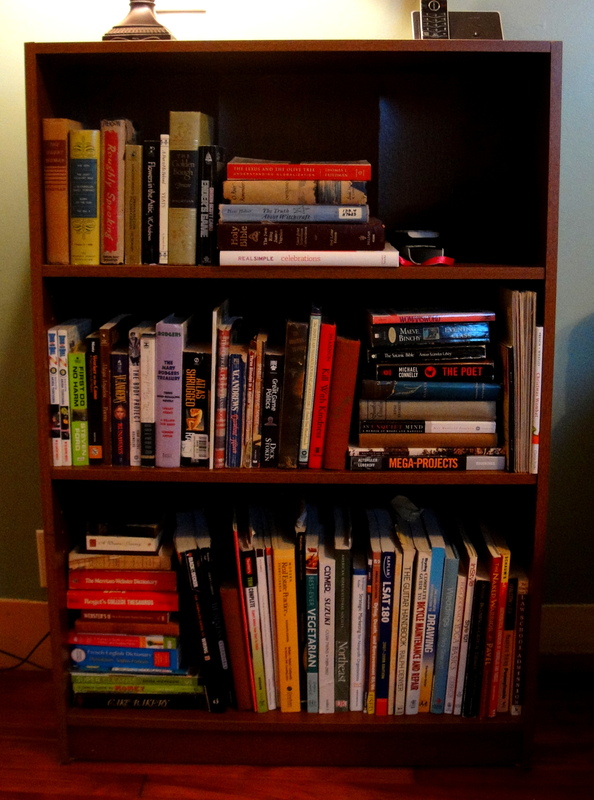 Now, to reload the books. This project took around two hours and cost me about $15. 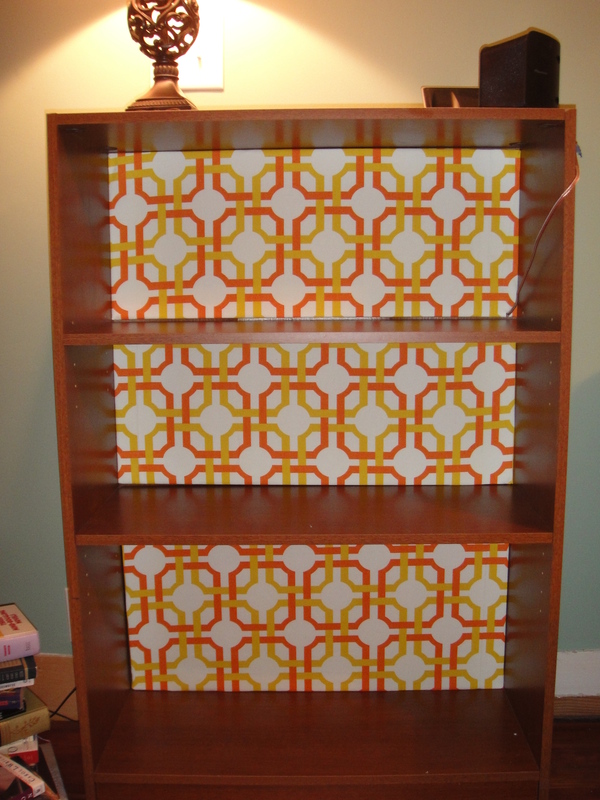 Using this bold patterned fabric was a simple way to breathe new life into a hand-me-down bookcase.